Stephanie has been working in the field of nutrition and dietetics since 1995. She earned a Bachelor of Science degree in Dietetics from Michigan State University, completed an Approved Pre-Professional Practice Program at Western Michigan University and earned a Master of Business Administration from Baker College. 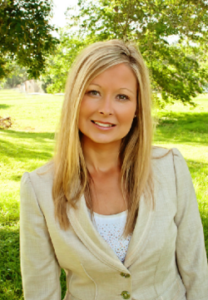 She’s been a Registered Dietitian Nutritionist since 1996 and licensed in Texas since 2007. ​Stephanie has extensive clinical & managerial experience, both in corporate settings and in the community. Now she wants to share her knowledge with you, because most (if not all) nutritional habits begin at home. Stephanie and her family reside in Katy, Texas. My daughter and I were under SO nutrition program and we dramatically improved our eating habits. Now we make more conscious choices when eating at home and out. Thanks for the life lasting education on real foods and the cooking tips!! !